Crazy Dog Train-Me! Training Rewards, and Remedy+Recovery Calming Lavender Mist. This is something that we never see from Pepper when we are on the road. The dogs are usually stress panting and up and down constantly. So before this 4-hour trip we misted the back of the vehicle where the dogs would be most comfortable. This was the scene only a few miles down the road. AMAZING! Colbie was sleeping on the floor behind the driver seat. 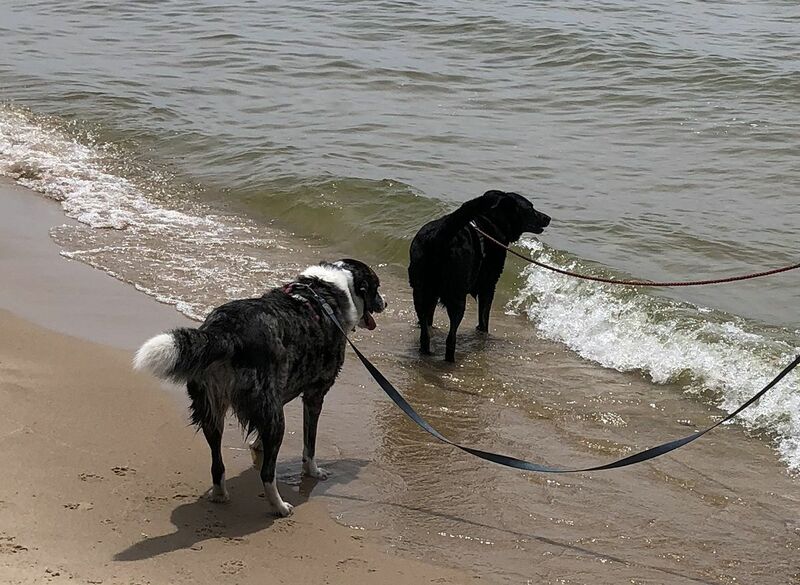 When we arrived at our destination the pups were up and ready to hit the beach! So we went down to the designated "Dog Area" with our Pet Botanics Training Rewards in hand. 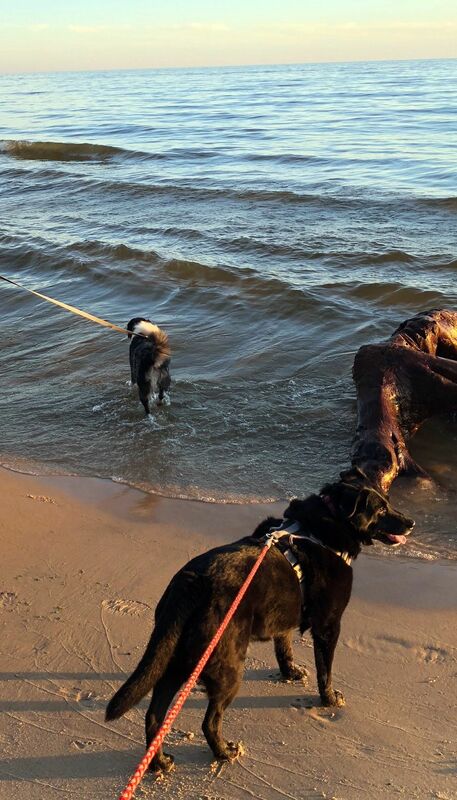 Both the girls loved the water and enjoyed a walk down the beach during the sunset. 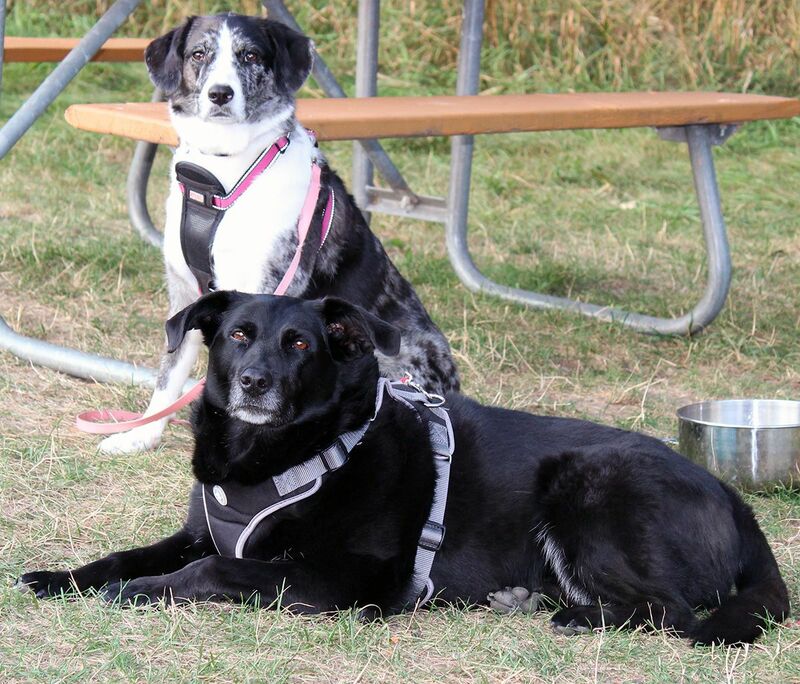 Pepper and Colbie we very good at the campsite but there were a lot of dogs in the park. The Pet Botanics Mini Training Rewards, Crazy Dog Train-Me! Training Rewards really came in handy when we needed to distract the dogs from the other dogs walking by the site. 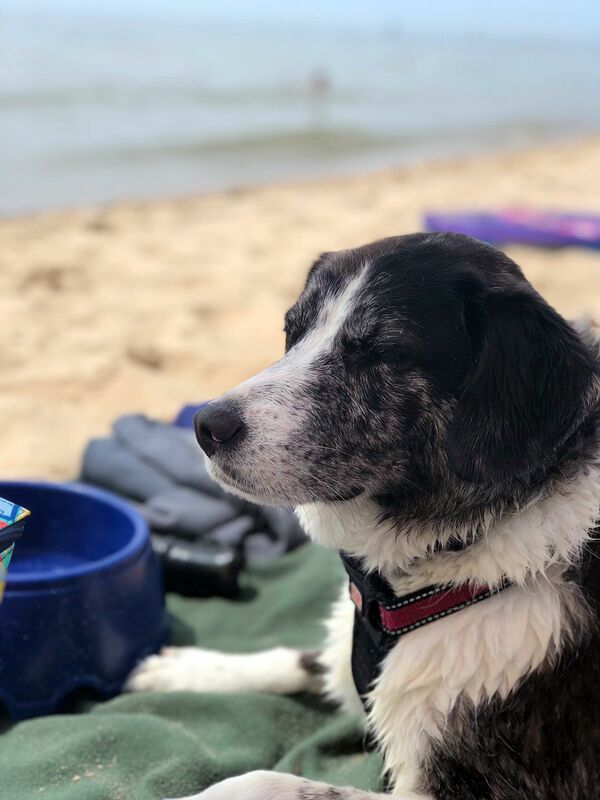 Our next trip to the beach was an all day event! 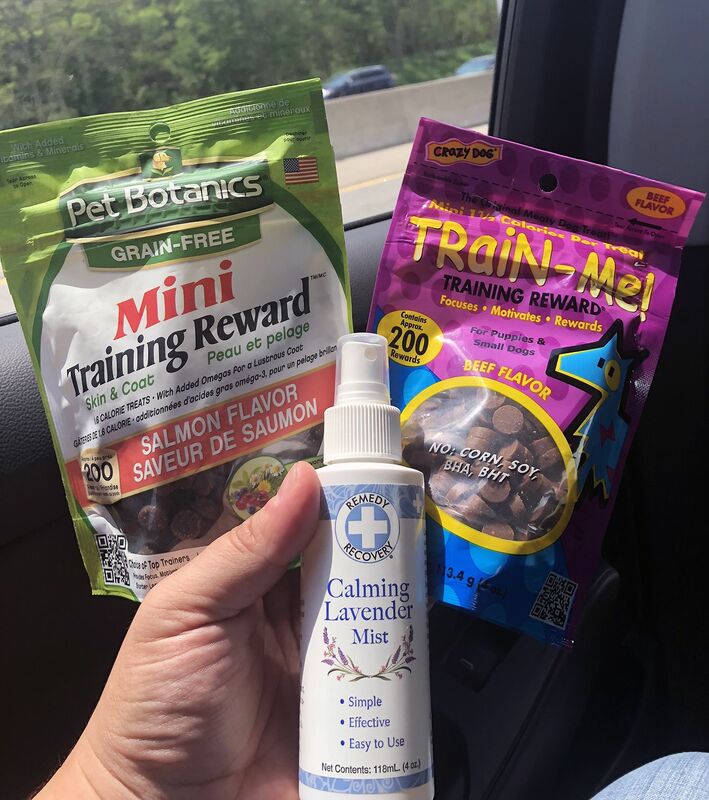 So we packed up the family and dogs and headed down -- this time bringing the Crazy Dog Train-Me Training Rewards. They were very well behaved and we even got to share some treats with a puppy friend we met. Tired Colbie after a day playing at the beach! 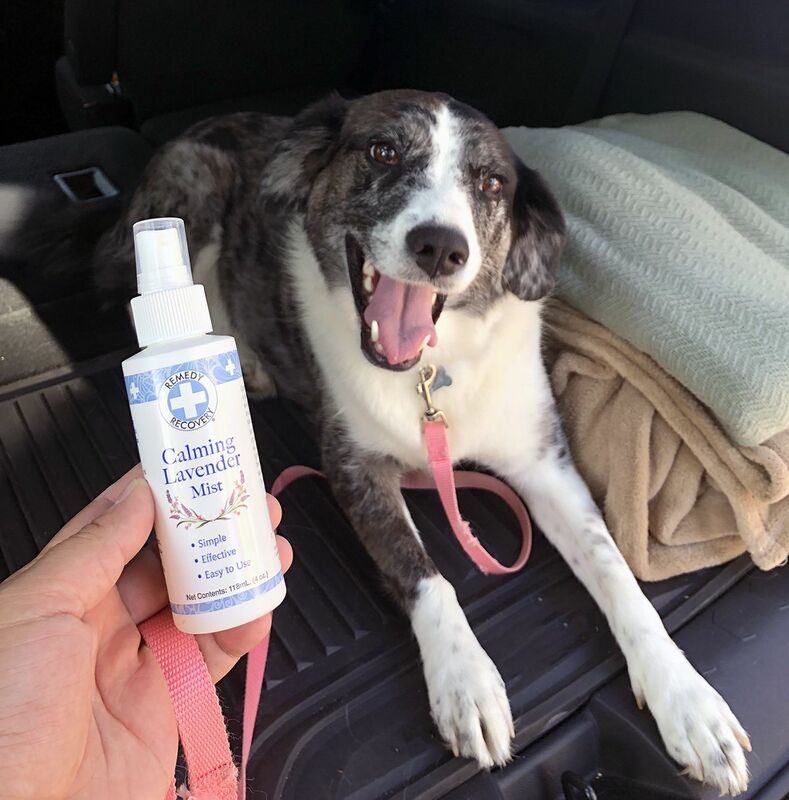 'Colbie, Pepper (and mom) give the new Remedy+Recovery Calming Lavender Mist 5 tail wags! This product really helped make the trip more enjoyable for the whole family. We loved having the Pet Botanics Mini Training Rewards, Crazy Dog Train-Me! 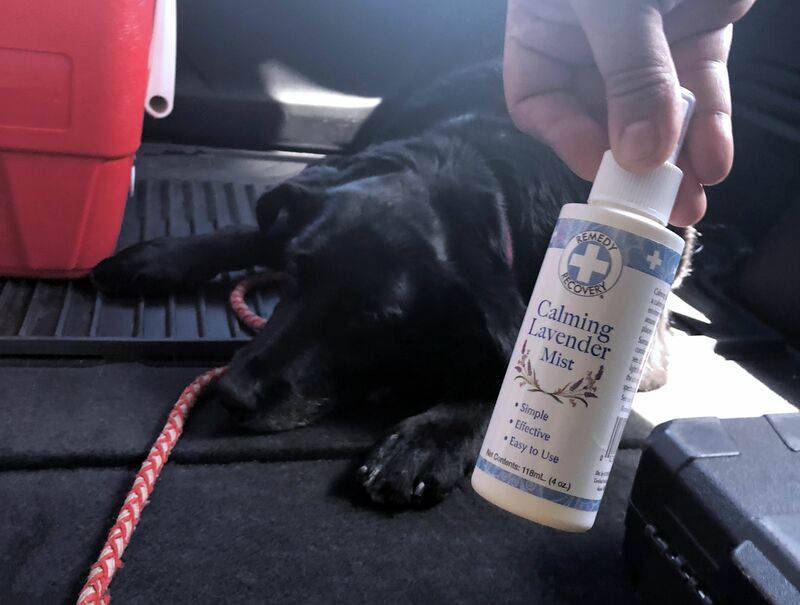 Training Rewards, and Remedy+Recovery Calming Lavender Mist with us on this trip and won't do another road trip without them!